// The callback argument will be true if the user granted the permissions. // The extension has the permissions. // The extension doesn&apos;t have the permissions. // The permissions have been removed. 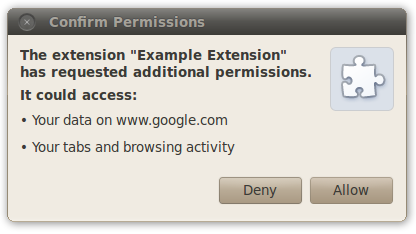 Fired when access to permissions has been removed from the extension.